Carlton Ritz is precisely the kind of offspring we were expecting when we put together a great sire and great dam. 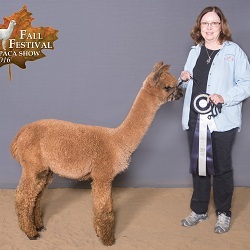 His Sire, El Nino's Golden Legend, is one of Mile High Alpaca's premier producing herdsires and has produced a phenomenal crop of crias. 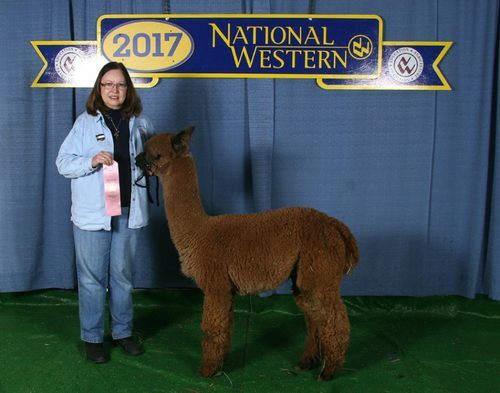 We expect many of them to go on win color championships. 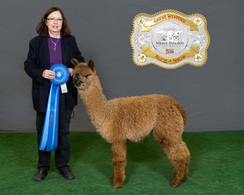 Carlton Ritz's dam, Mile High Peruvian Malanie, carries an impressive show record and has produced several other award winning offspring. What can I say about Cover Girl. She lives up to her name. From the moment I saw her, I knew she was special. She's a large girl. Judge Helen Humphreys said she has "good substance, good capacity". 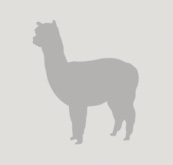 She has a very fine fleece and great hand. One of my favorites! 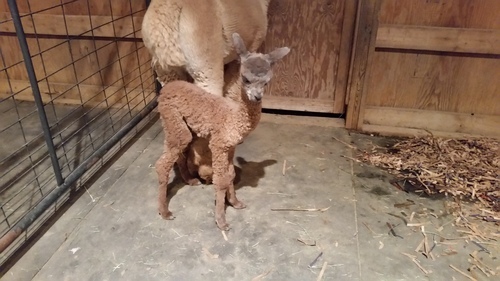 Cover Girl is bred to Semper Fi di Bella Vita for a 2019 cria! 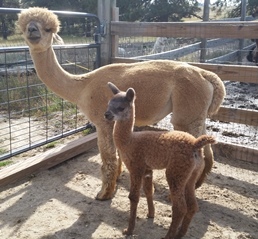 She is bred to BSRA Snowmass Enlightenment's Patron for a fall 2017 cria! This should be a special one!